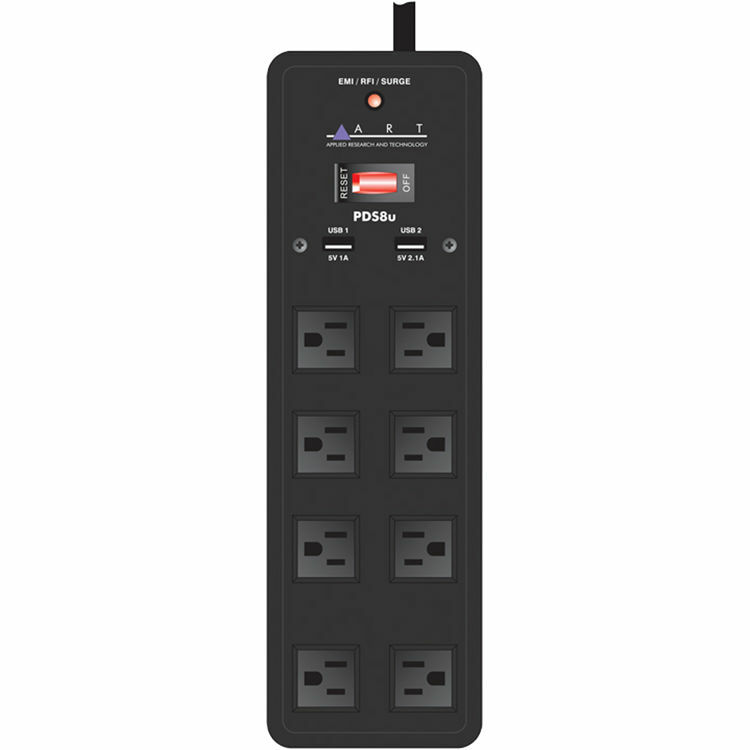 The PDS8u 8-Outlet Surge Protector from ART prevents electrical power-surge and spike damage to 8 connected devices. It comes with a total of 8 outlets and 2 of them are block-sized so you don't cover the other outlets when using larger adapters. Two USB charging ports deliver a total power of 3.1A so you can charge USB-enabled devices quickly and safely. This surge protector protects connected devices from EMI, RFI, and power surges, and comes with a surge energy rating of 1700 joules. The 20' power cord gives you plenty of space when setting up your devices. 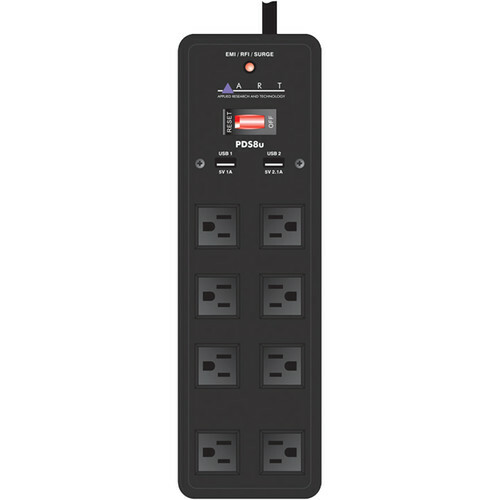 Box Dimensions (LxWxH) 13.7 x 8.9 x 2.3"
PDS8u 8-Outlet Surge Protector is rated 5.0 out of 5 by 2. Rated 5 out of 5 by Scott from Best choice BH is the best place to get PDS8U !!! This is very nice choice if you like long cord and a couple USB on your multi outlet surge protector. Rated 5 out of 5 by Anonymous from It works as expected It looks heavy duty and durable. Just what I was looking for!